Off-beat script, non-glamorous actors or huge marketing budgets: Mantra for a new film? Perspective | Off-beat script, non-glamorous actors or huge marketing budgets: Mantra for a new film? Films are one thing that is most important to Indians. Be it the common man who is the audience, the makers, marketers and people in front and behind the camera. In the recent times, Hindi films have managed to create a stir of sorts, with bolder scripts, more new faces and lending different treatment to the stories and the artists. Having said this, this week in our section Perspective, we are talking about how in the recent times have films changed in terms of topical scripts, varied treatment and meeting ever changing audience taste. Adgully held an extensive learning of the story from various industry personnel, here’s what we found. 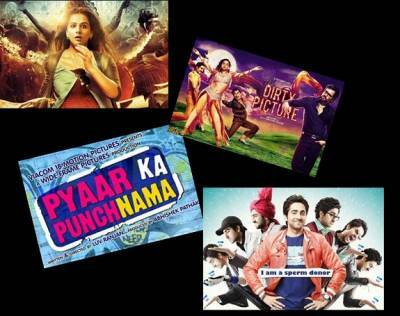 Do you believe that the Indian audience has evolved over the years with acceptance of 'not mainstream stories which is evident from the success and critical applaud these films received? Piyush Jha, noted film director, screenwriter, novelist, ad man who is most famously known for his critically acclaimed film Sikander is of the opinion that yes, the audience has evolved by moving away from the taste of usual formula films. But he also believes that this is not any revolution or change; since the 80’s and 90’s also had challenging scripts and stories. The change is only in terms of exponential growth of population. The percentage of people remains the same but the number has increased. This is also because the media which are growing in size rapidly has offered more opportunities to talk more about such cinema than early times. Also there is more money available to make such films. Jha believes that off-mainstream stories have been brought on screen earlier through films like Aakrosh and Arthsatya, but, in the current situation it is the hype that tells us about the popularity of the film. 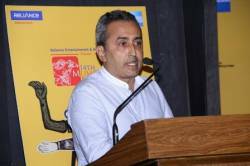 Yusuf M Sheikh, Business Head, Film Distribution, Acquisition and IPR management, Percept Picture Company believes that the audience is always looking for idea-driven or off beat stories on the screen. 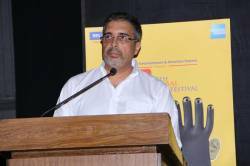 “It’s not only now that we have such untouched topics being taken up in cinema. For example, there was Julie, Noori and many more of such films that were not conventional at their times. Similarly, at Percept Pictures Company we also have not so conventional stories like Phir Milenge which had big names like Shilpa Shetty, Abhishek Bachchan and Salman Khan but a very sensitive and unspoken topic like HIV. Also, when we brought a film like Page 3, the market players must have thought that the absence of a ‘star’ would not take the film any long, but we all the magic the film did”. He believes that even if the film is made on shoe-string budgets with no stars, but is idea-driven, it will work. With the scripts getting more and more innovative, do you see the A list actors ready to shed their glamorous facades to mould into more challenging and demanding character - driven roles. Speaking about actors holding back their stardom for character driven roles, Narayanan opines that actors have now started reading scripts with more sincerity and willingness and aim for their films to be successful. Singh believes that the best thing that is happening with such films around is that the actors are shedding their inhibitions, coming out of their closet and taking up challenges. The actors are now ready to go to any length to play a role as realistically as possible. If this would not happen, we would not have got a splendid performance by Vidhya Balan in Kahaani or even a Dirty Picture. Shiekh believes that though there is a lot of ‘playing safe’ that happens with actors and their dilemmas of choosing a ‘larger than life’ role or a ‘character driven’ role. But the actors today are definitely taking the conviction that is essential for such films. If it was not so, one would not have stars like John Abraham and Akshay Kumar support films like Vicky Donor and Oh My God respectively. Jha opines the actors are not actually taking challenges only now, but they have always had an interest on doing such less explored genre films. In his opinion Amir Khan is one actor who has consistently broken out from the mould to bring an effect on things that are not touched upon in greater details. Standing contrast to this is Lamba, who feels that the stardom façade works for the actors and does not agree to the view that actors are breaking moulds to accept challenging roles. From a business point of view, how do you think are the marketers betting on such films. Do you believe that given the current financial environment, marketers are ready to take the risks of betting big on such film. Speaking from a marketer’s point of view, Rishi believes that companies are doing really well in promoting themes which are out of the usual story lines and making them mainstream and successful. 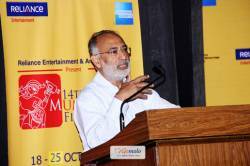 Narayanan also believes that without the marketers betting big on such cinema, films would fall short of support in terms of distribution and promotion. Jha on the other hand is of the opinion that marketers do not agree to bet big on such off-beat scripts and stories. It’s only the makers who are the actual risk takers. Speaking about the investors and marketers betting on such films, Singh is of the opinion that the business of film making will always have different marketers with different mind-set who chose to invest or to invest in a particular film. Some would fine some worth in a Vicky Donor, while others would out-rightly turn down such stories believing that there is no substance in them. But on the other hand, he opines that today, we have to get money to market a film, since if you’re not visible, people will not go to watch that film. But what is more important is that, what and how much ‘out of the box’ marketing do these off-beat films do and thus prove that, being more creative in less money and giving more value get out of it. But the real hero’s would be the maker – the creative and production people, who are then followed by marketing the film. Thus, at the end of the day, everything, including the marketing budget depends on the product – the film.